Sam has a premonition in which a man is killed, but the murder is made to look like a suicide. 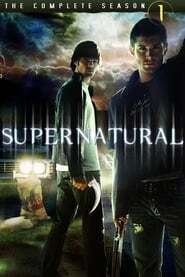 Sam convinces Dean that they must investigate the case, but the two are puzzled when they fail to find anything that indicates that the death was supernatural in nature. That is, until they find out that Max, the reclusive son of the first victim, has been using his recently acquired power of telekinesis to kill the family members that once abused him. Sam also discovers Max’s mother was killed by the same fiery demon that took his own mom.